When I was a kid – decades before being a father even registered as an actual possibility – I never got top-of-the-line running shoes. My family opted to go the cheaper, knockoff, Velcro-laced route, which I wasn’t thrilled about. I was far more interested in the shoes with the big orange basketball-shaped “pump”. 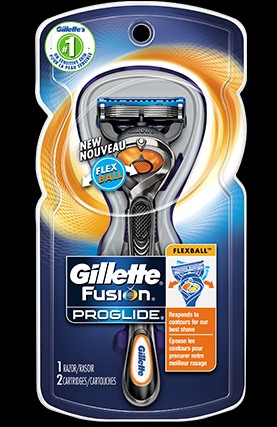 So when I saw that big orange FlexBall smack dab in the middle of the new Fusion ProGlide, I thought to myself, “Finally!” It may not be a pair of shoes, but it’s every bit as cool-looking. And unlike the “pump” shoe that was in no way practical, the FlexBall definitely makes a big difference in my shaving routine. It feels like I’m shaving in 3D after years of two-dimensional back-and-forth, up-and-down manoeuvring. The new Fusion ProGlide pivots and changes direction – much like a basketball player – to ensure every pesky hair is dealt with swiftly and thoroughly. It handles smoothly without tugging or pulling at my skin, which in my estimation is underrated on the list of “Minor Yet Extremely Annoying Daily Occurrences.” It’s really not a good feeling, and I’m pleased that this razor minimizes it. The result is a comfortable shave and a comfortable shaving experience. Father’s Day is just around the corner, so why not reward the dad in your life with quite possibly the smoothest and coolest razor to ever shave a face? And speaking of #ShaveFace, do yourself a favour and check out Gillette’s Facebook and Twitter feeds for some examples of quality shave faces, both past and present. If it’s good enough for Michelangelo’s David and David Hasselhoff, it’s good enough for me – and for your dad too! By entering the following contest you are accepting that if you win your contact information will be shared with a P&G PR and shipping agency for the purpose of mailing your prize. Please allow 4-6 weeks from the contest closure date to receive your prize. This giveaway may appear on other blogs as part of the #PGmom program. However, to be fair, you can only win once per giveaway. If your name is chosen more than once, another winner will be selected. All winners must be from within Canada excluding Quebec. Valid entries only. Contest ends June 16th, 2014. For further contest rules, refer to the Terms and Conditions within the Rafflecopter. I think I would try it out myself. If I were lucky enough to win I would donate this to a local charity, so someone deserving would be using this! I would probably give this razor to my dad. My husband and teen son will have to fight over who uses it! My husband would be using it. My husband would love to use this! I would give it to the man. Your husband writes excellent reviews! My husband... unless I like it ;) lol! If I win, my husband would use the new Gillette Fusion ProGlide. Me. Me will use it. Not sure who, but it wouldn't be me. It'll be a gift though. My husband would loove it. My hubby will use it. I would give it to my husband. He likes Gilette razors. Would be a great addition to his Father's Day gift. if I win this my hubby will be using it. If I win, i will be the one using it. I will give it to my dad. 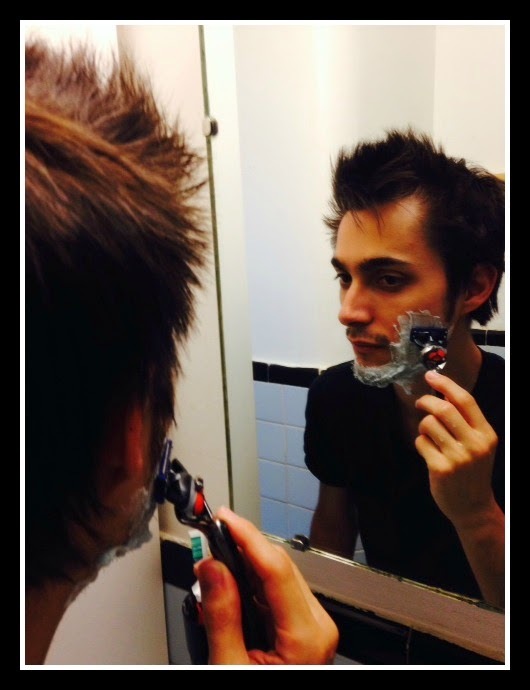 My husband - he always has to have the latest Gillette razor - he loves his ProGlide Power, so I know he'll love this one, too! I will give it to my dad to use. My husband would call dibs. My dad would use it! My husband.. who just started shaving again after YEARS of having a beard! My husband would use it. My dad will use it! If I win, I will give this to my dad. For the hubby...and he would be quite impressed! My partner will use it! My better half he would love it. My husband would use this. My hubby will use it! My special someone would use this razor! My husband would use it. He's always looking for the "perfect" razor. my hubby. he needs a shave. badly. please. I would give it a go myself. I think I will give the shaver to my son. My husband will use this. If I were to win this new razor would be for my husband. The lucky recipient of this prize pack is my Dad! I would give this to my brother if I won. my husband - he loves a good shave!